Another novel snack for the kittehs! Beef Tongue! 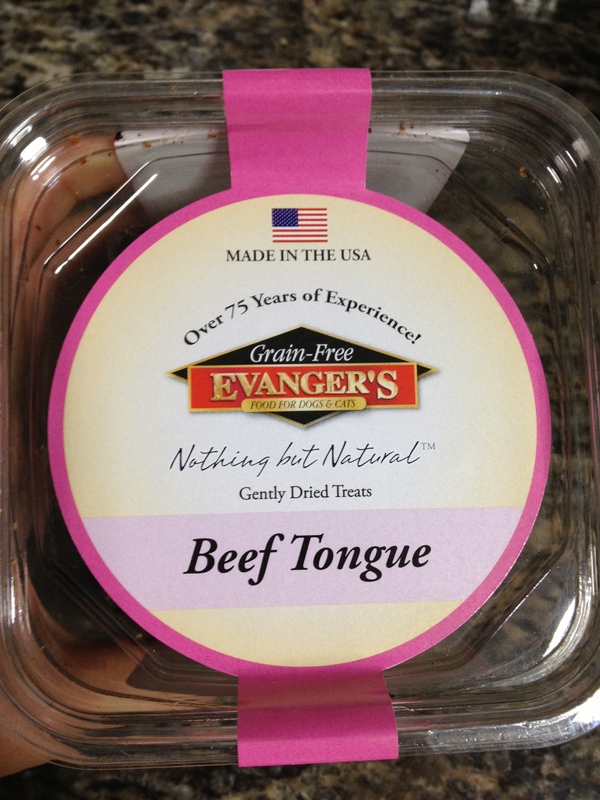 Evanger’s freeze-dried beef tongue. We’ve tried the beef tripe, and the kittehs loved loved loved it to bits! 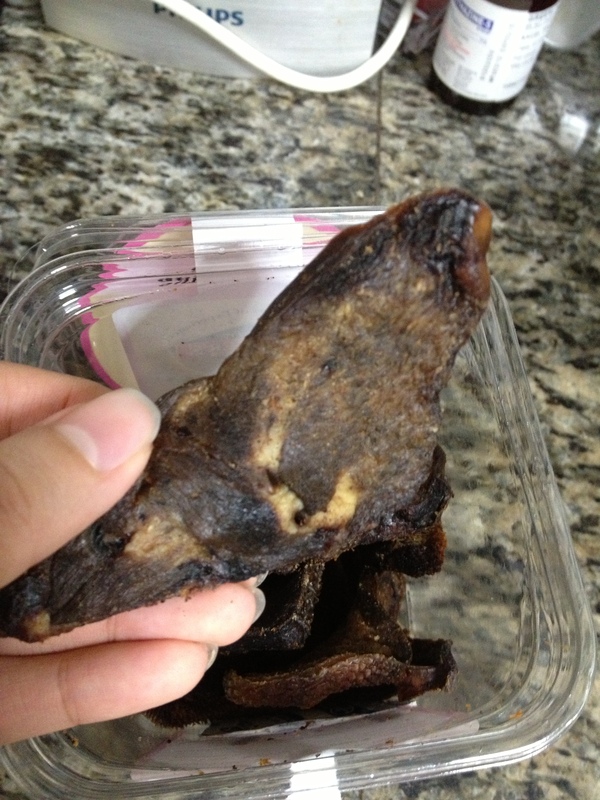 Personally, I’ve never tried beef tongue, but they are a common sight in wet markets. 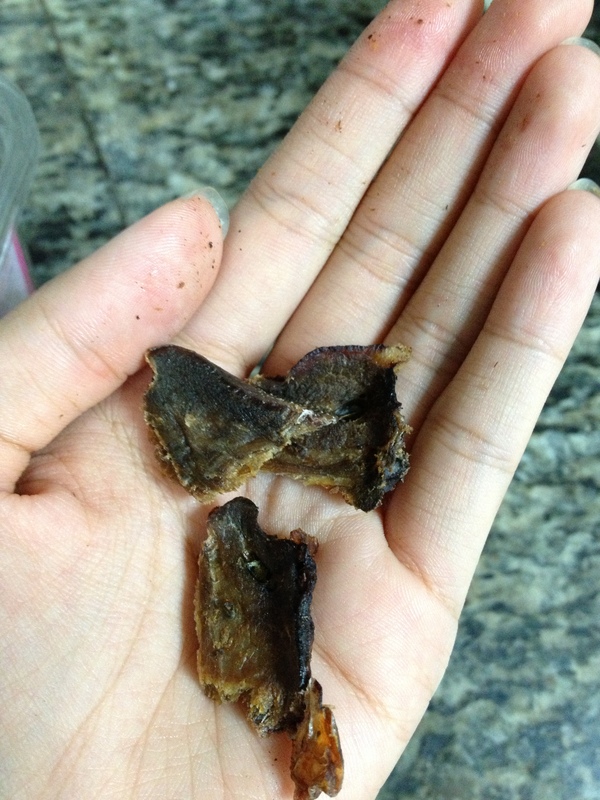 Here’s a recipe for Japanese stir-fried beef tongues for people! According to Livestrong.com, beef tongue is full of minerals, proteins and fat. 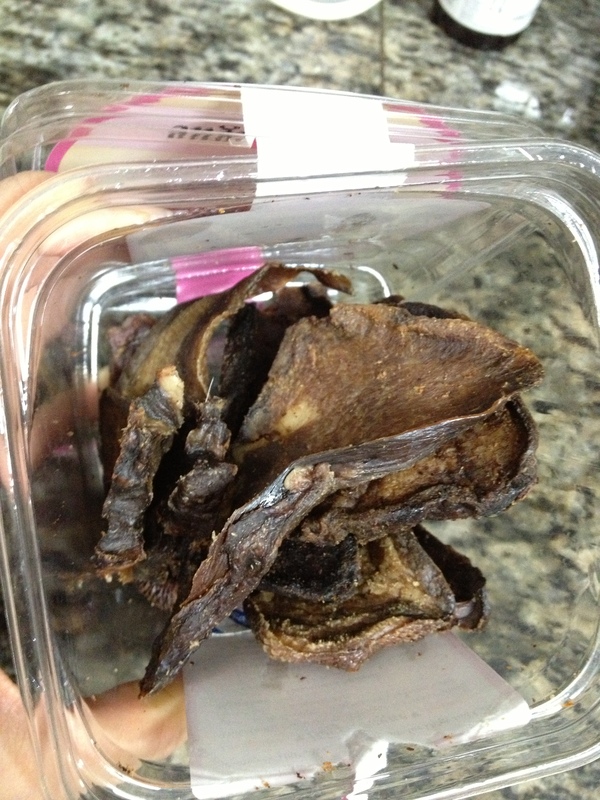 100 g of beef tongue contains 14.90 g of protein! That makes for a filling afternoon snack for little ever-hungry mouths. Because it’s so full of minerals like zinc, iron and selenium and vitamins like B-12 (and all these are good), do not feed this every day. 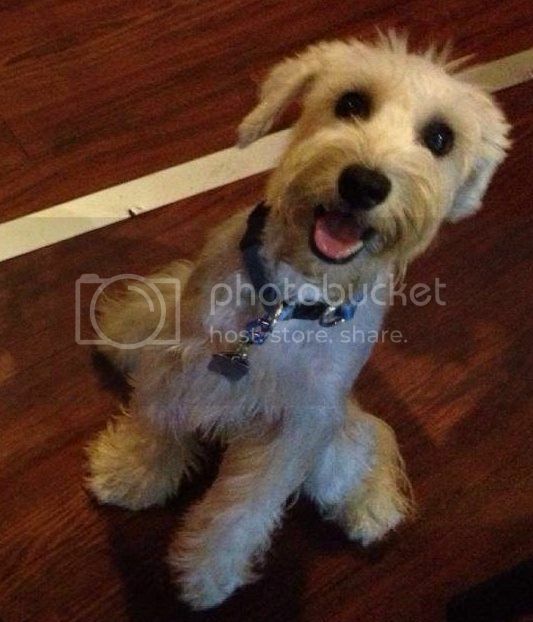 Moderation is good for people AND pets! A portion (3 oz) of beef tongue will give you 241 Calories, which will take 67 minutes of walking to burn it off. This is what it looks like inside. I didn’t count the number of pieces though! These can be rehydrated to soften them before feeding. A huge piece. It is also rather sinewy and didn’t break cleanly with a snap like the beef tripe. 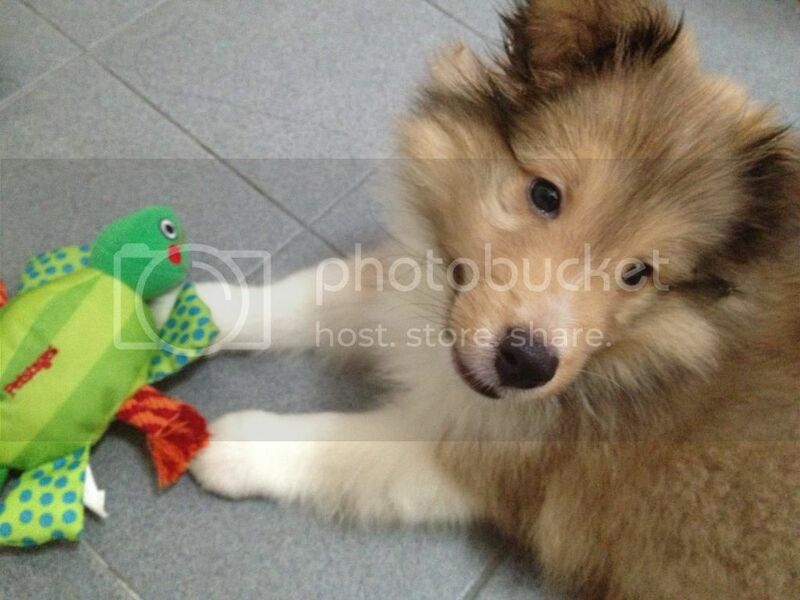 This thing is chewy! I had to tear the piece into half, and then split it down further. Shall try a bit of raw beef tongue with them (and a bit of the stir-fried beef tongue for us! So adventurous!) 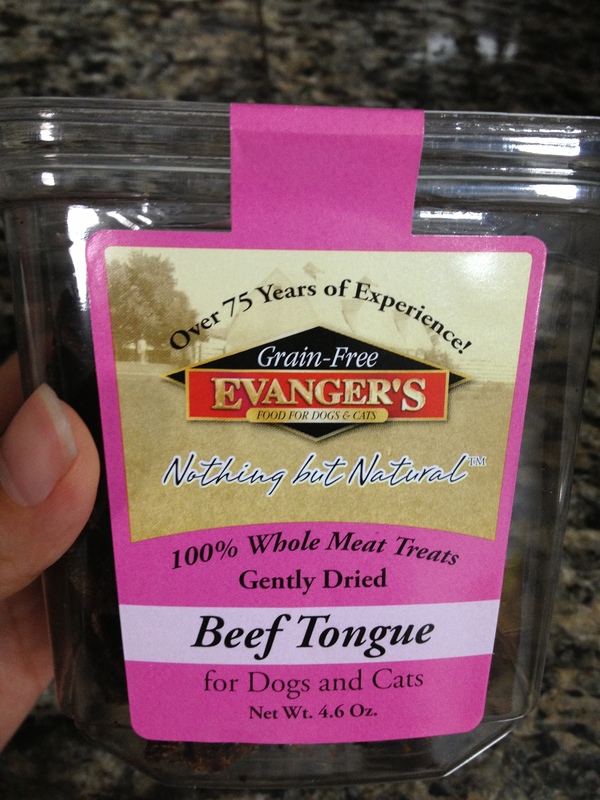 after this…let’s hope that they like raw beef tongue as much as this freeze-dried treat. ‹ Thunderbolts and lightning, very very scary!